The first step is to ensure your home’s temperature and humidity are controlled, and set to typical ambient living conditions. This includes making sure air conditioning or heating are at their usual settings. Next, carefully remove the flooring from the boxes and “sticker-stack” the planks. This allows air to flow between the floor boards. The last step is to wait until the flooring has reached an equilibrium with the home’s environment. Equilibrium has been reached when the floor’s moisture content no longer increases or decreses. We’ve seen this occur as fast as 5 days, but in extremely dry or humid environments, this usually takes 10 to 14 days or longer. Remember Cali Bamboo Fossilized® floors are extremely dense and off-the-charts hard, so it’s worth the wait to acclimate. Download and follow these pre-installation steps to ensure your installation is gets off to a good start. We are currently installing the solid antique java in our house, we are also sawing them inside of the house, it has a very strong smell, And at first we thought it could be the sawdust but then it also has the same smell in one of the completed rooms. What is that and how long will it go away? Thanks! Fresh cut bamboo flooring will have a scent, some people seem to react stronger to it than others, but rest assured there’s nothing harmful in it. We test all our flooring regularly for VOCs and other unwanted chemicals. If you are able to ventilate the room by opening windows it should dissipate within a few days and should be completely gone within a couple weeks. We have 1250 sf of the engineered Mocha bamboo flooring. I’ve stacked the boxes, opened the ends of the boxes and cut off the plastic wrap on the ends of the planks. It has been acclimating for 2 weeks. Is this sufficient for acclimation or do I also need to open the boxes completely and cut the plastic wrap lengthwise? For the engineered flooring you only need 2 days, but yes that’s the correct way to do it. My solid Bourbon Barrel flooring is stacked and acclimating currently. I also had purchased the Cali Complete underlayment, but after a bit more reading and seeing some comments on here, it sounds like I actually don’t need the underlayment since I’ll be nailing into a plywood subfloor. Should I still use the Cali Complete anyway? Or some other underlayment? Or just return the Cali Complete and get a little money back? That’s right since you’re nailing down, you won’t need the underlayment. You can return that. I’m thinking about nailing down the solid bamboo floor on the second floor which has a plywood subfloor. Is there anything I can do to keep the noise level down or is it just something we’ll have to live with? Unfortunately, nail down installs negate the effectiveness of underlayments. You can, however, lay down another layer of plywood. How long after installing Java wide T&G nailed down can furniture be put on it? For nail down installations you can move everything back immediately. Bought 7 boxes of the mocha fossilized eucalyptus wide t&g flooring 3 boxes weigh 94.79 pounds and 4 weigh 89.73 pounds is this normal? All the numbers look identical except the weight. I’m looking into this John, we may have updated the label on the cartons and you just happened to get some old and new labels. I have about 35 boxes of the vintage port fossilized t & g (wide). How many layers high can I stack, if I go 10/layer ? This is a great question when I did my floors on the 2nd and 3rd level I was concerned about weight. For ground level installs I’ve seen stacks 20+ levels high, but for upstairs, I wouldn’t go higher than 12 layers per stack. Can you acclimate the bamboo hardwood inside the box? My contractor says it is ok to acclimate inside the box and he didn’t take it out of the box. Only if it is Eengineered, vinyl or cork, everything else must be removed from the boxes and sticker stacked in the installation area for a minimum of 5 days prior to install. I have purchased the vintage java click floating fossilized bamboo flooring and we are so excited to get it put in. How long does it need to acclimate in my home? I live in NE Kansas. Also, is the Cali Complete underlayment enough? We have a wood sub floor, and I didn’t know if we need an additional moisture barrier. The Flooring Installation guide recommends asphalt laminated paper. Is that necessary in addition to the Cali Complete underlayment? Thank you! Cali Complete is just fine. Since your subfloor is plywood, you do not need to use the seal tape. We have 1100 sqf of cali solid eucalyptus and we are pumped. We have decided to use vapor barrier underlayment on concrete in Southern NM Rio grande valley. My question is whether or not to glue the boards together. Is there a best way to install over concrete? To glue or not to glue? So if you plan to float the floor and use an underlayment, you’ll need to glue the planks together only if it’s T&G (Tongue and Groove) milled. If it’s click-lock milled, then they’ll snap together and you don’t need any glue. Send pictures to [email protected], we love seeing the whole process and pumped homeowners too! Our carpet is out and plywood subfloor is level and swept, but we didn’t have time to put down the vapor barrier and felt prior to the bamboo arriving. We’re leaving for a week or so while it acclimatizes and we’re wondering what’the best next step is – . Our two apparent choices are to 1) leave it in boxes big jenga style in living area for the week and then move those outside upon return to finish prepping the floor before putting in – or 2) to have it jenga style as individual planks as suggested but in the adjacent den that is remaining with carpet for now. Does one choice seem wiser than another? – if it helps – it’s wide solid bamboo that will be nailed down and we live where it is very hot and dry right now. Thanks for any advice! If you are nailing down to a plywood subfloor, you really don’t need a vapor barrier. In fact the nails would put holes in it making it useless. It’s always better to take the planks out of the boxes and to acclimate in the same room as it will eventually reside. I would skip the underlayment, and stack the planks on the side of the room opposite the wall you plan to begin installation against. We just bought 700 square feet of flooring and stacked it face up. My boyfriend brought up that the bottom boards could be indented by the pressure caused by 2500 pounds on top of it. Can that happen? I only received on pallet with my floors so I assumed I could stack them all in one stack, but now I am concerned. This may be an issue for traditional hardwoods but not Fossilized bamboo, you’re safe, and we’re glad to hear you are following our guidelines! Be sure to send us photos showing your progress. We actually have started an acclimation stack gallery at the bottom of the page, we’d love to include yours! My bamboo floor was just unboxed and stacked and the smell is awful! It is giving me such a headache. Will this go away? Hmmm, some people have stronger reactions than others but rest assured, the odor is natural and not anything harmful. We’re currently transitioning away from the foam padding to a paper product, but I’ve found the plastic wrap and foam padding to smell worse than the actual flooring, be sure to get the foam and plastic out of the house. The odor should subside after a few days. Not sure what area of the country you’re in, but if its possible to open a few windows, that will help ventilate it out. i purchased t&g flooring to install in my home. do to a construction delay the floor wount be put down for 2 to 3 months. Have you already removed the flooring and built your acclimation stack? If so, just let it sit, there’s certainly no issue with acclimating longer than the recommended 10 days. If it’s still in boxes, it’s tempting to move it elsewhere but it should really be kept in the home to avoid acclimation to an environment other than the home. I am waiting for my Cali Bamboo Java Wide click and lock Fossilized flooring to “properly acclimate”. It has been nearly 4 weeks since my flooring was delivered and cross stacked. It is being installed by a local Tucson flooring contractor. The home is about 30 years old so no issues with the concrete slab curing. The 3 bedrooms being done were previously carpeted. The carpet was removed when the flooring was delivered and it was recommended that a few high spots be ground-that has been done. The other rooms in the home are tiled. The tiled areas are not being re-done. The temperature has been fairly warm for November with minimal heating and no air cooling needed. The ambient inside room humidity at this time of year is close to the outside relative humidity which has been in the high teens to low 20’s and only occasionally reaching the low 40’s. The contractor was here a few days ago and he was concerned that the inside room humidity was in the low 20’s. I’m not certain if they actually measured the humidity of the wood. He questioned whether the room humidity needs to be higher before the flooring can be installed. We don’t have humidifiers on our furnaces and don’t really want or feel the need for these especially since we have zone heating with 3 separate furnaces for different areas of the home. The average year round relative humidity charts that I’ve seen show Tucson to have average humidity around the low 40’s. Air conditioning is used most of the summer months. How should the contractor determine when the flooring has properly acclimated? 4 weeks should be plenty of time for the flooring to have reached equilibrium with the current humidity levels. If he was testing the moisture of the planks he would have seen at what point the reading stayed constant and installation could have proceeded. Keep in mind, if humidity is a little low when you install, expect some expansion as humidity levels rise and some shrinkage when humidity levels drop. This is why we require acclimation and 1/2″ expansion space around all fixed objects such as walls, door jambs, fireplaces, etc. A floated floor needs to be able to freely move with seasonal fluctuations. If he’s planning on gluing down, make sure they seal the slab with an approved moisture barrier such as Titebond 531+ or they use a quality adhesive with an approved moisture barrier built in such as Bostik GreenForce™ and a proper trowel (you’d be surprised how many people use random trowels). We still recommend the 1/2″ expansion space even with glued down floors, even though movement is less likely, it’s like having a little additional insurance which will give you added peace of mind. Best of luck with the install Dorothy and we’d love to see photos of the finished floors! 2 days and a maximum of 3. Also, make sure you use the metallic seal tape to seal the Cali Complete, that makes it a moisture barrier. We just purchased solid bamboo wide click flooring from Lowes. The salesperson told me the bamboo would acclimate in the boxes but the deliverers would stack them Jenna style. Then the delivery guys come and tell me they don’t need to do this and just stack the boxes regularly in the house and leave. So researching on the Cali bamboo site i see different instructions. Do we need to pull everything out like in the pictures above? Why is lowes telling people the wrong things about your product? Also they did not leave us a pallet to use, can we stack it right on the carpet or do we need to get one? Yes the flooring should be removed from the boxes and stacked like a big hashtag #. If you don’t have the pallet, a couple 2x4s could work too. The pallet gives airflow to the bottom planks so just keep in mind the planks on the bottom of the stack haven’t had as much acclimation as the rest of the planks so just put them off to the side and use them only if needed. Recently purchased the CaliBamboo Vintage Moonlight. It was delivered in boxes without a pallet. Do I need a pallet to stack on or can I stack it on the floor? What is your subfloor? Plywood should be fine, but you’ll want something between the flooring and a concrete subfloor. Hi, I just received the Cali bamboo Dawn Cork floating floor and I’m cross stacking the boards on a pallet in the room it will be laid. I viewed the video and pictures for acclimating the boards and I want to know how much room between the boards is needed and how high can I stack them? Your pictures look like they are 2 to 3 feet tall. Is that O.K. ? Please let me know so I can adjust them as needed. Thank you I’m looking forward to my new cork floor. 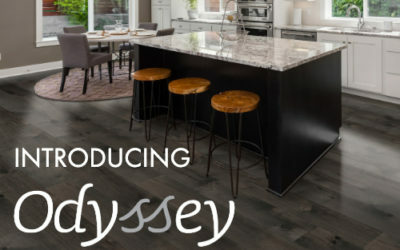 The cork flooring actually doesn’t need quite the acclimation that say solid bamboo would require (though perfectly fine if you already built the stack) all you really need to do is remove the plastic film and let them sit 1 to 2 days and then you can install. to keep the floors from buckling shrinking etc. like humidifiers? we have read the acclimating process before hand. You’ll want to make the acclimation stack as close to the installation area and let it sit for 10 days. If you are installing over concrete, you’ll need to seal the slab or use an approved moisture barrier. When you install, allow a 1/2″ expansion gap around all fixed objects such as walls, cabinets, etc. so if the wood does continue to expand it has room to do so without buckling. After installation try to keep the temperature and humidity levels fairly consistent we recommend 40%-60%. I have purchased Cali Bamboo Wide Click. Can this be floated over vinyl? Yes. You can also choose to add an underlayment for added comfort and insulation. Greetings. We recently purchased 700 ft of Cali Bamboo Fossilized 3.75-in Prefinished Antique Java Bamboo for our home. We are on a slab. We are pulling up the original carpet and padding…is it necessary to put a barrier between the slab and the flooring? Or can we put something like Thmpson’s water seal? Also – what is the bets blade for cutting the wood? Yes, this is really important. If you are glueing down the floor, you’ll want to seal the slab with a moisture barrier that is compatible with the adhesive you’re using. We recommend Titebond 531+ moisture barrier and 821 Adhesive. If you’re floating the floor you can still use Titebond 531+ or you can use an underlayment style moisture barrier such as our Cali Complete™. Be sure to take the flooring out of the boxes and make an acclimation stack and let it sit for 5-10 days as close to the installation area as possible prior to installation. As for blades, you’ll want to replace them when the cut edges start to fray (every 200-300 sqft). 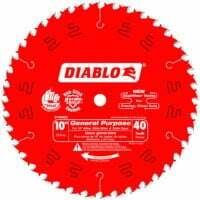 We recommend Diablo blades 40 or more tooth. I had my Cali Bamboo Eucalyptus flooring installed last week. I had it acclimated for a few weeks. It was installed on a concrete slab, is click lock and we used the recommended cali under laymen by Cali Bamboo. The installer did some needed leveling with self leveling concrete and it looks great. However it is noisy. It sounds like I’m walking on bubble wrap. Why would this be and will it settle in at all? They finished last Friday it has been 4 days. I noticed the same thing after we installed Antique Java. I’ve never owned hardwood floors before so I just thought it was part of the hardwood experience. It took a few months to quiet down and now a year later it’s totally silent. It will go away, but it took some time. The cracking is caused by the slab not being swept good enough prior to installation. told about this when I bought the bamboo. Yes, this is true for any solid hardwood, it needs time to adjust to the climate in your home prior to installation. Believe me, take the time and do it right, the last thing you want is expansion or shrinkage after it’s been laid, much bigger problem to have. Be sure and watch this video and make sure your contractor follows each and every one of these steps before and during installation. I am having bamboo click installed in the majority of my house. 2300 sq ft including 4 bedrooms and main living room of the house. Does acclimation only need to happen in one room of the house? I am thinking the main living area. It is the biggest area of the house and room for acclimation. Also during acclimation. Also does the flooring have to be up on some type of pallet during acclimation? 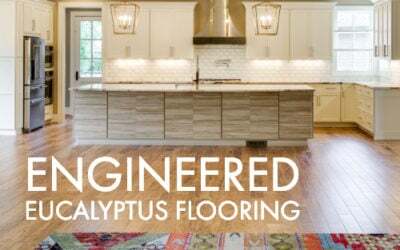 Assuming you are talking about our solid bamboo or eucalyptus flooring, the flooring should be acclimated as close to where it will be installed as possible. Each area of your home could have different moisture/temperature fluctuations. If acclimating across your home is impractical, then the main living area will suffice. Yes, the flooring should be up off the ground, ideally on a pallet. The flooring should arrive with a pallet. Acclimation should be 5-10 days minimum and longer if you are in an extremely humid or extremely dry environment. Jennifer..did you use thresholds in every doorway? 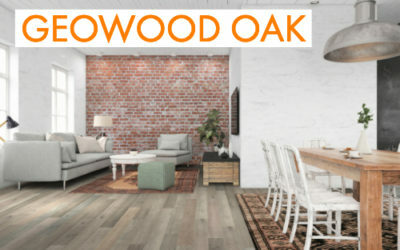 Can you recommend and underlayment for wood subfloor? I have the click bamboo flooring. We are getting ready to install fossilized eucalyptus flooring and found our floor, which previously had been carpeted, is far from flat. There are a couple of areas where, I’m assuming, the joists have bowed somewhat creating some depressions or humps in areas. Is this something we should be concerned about with a floating floor? Is there anything we can do to improve the condition and make it less noticeable? Without seeing it firsthand it’s hard to say. I had a “high spot” at a joist when I did my floors and I ended up sanding the subfloor and pouring self-leveler on either side to spread out the bend. I also used cork underlayment throughout with exception to the “high spot” and while it definitely helped, I still have a spot where the floor creaks a bit, but nothing I can’t live with. I would have a professional look at it. You could also send photos to us and Ben our staff installation expert can offer some additional advise. Hi , I am a professional flooring installer for over 40 years now. You definitely don’t want any humps or low spots in your subfloor. Even with a floating floor if not level you will weaken the locking system between the boards . Have a professional flooring contractor who knows how to get your floor level do the job. Otherwise you will have spent all the money and have problems later down the road. We just took delivery of over 900 sqft of Coffee fossilized bamboo. I looked at the directions on how to begin the starter course which was the longer of the two click joints against the long wall. We opened a box just to see (it’s going to be a while before we actually lay the flooring). It’s good looking but I’m prepared to do a lot of dry mopping (for dust and animal hair) :). When I tried to assemble the boards via the instructions , inserting the short tab into the long tab, I found it quite difficult to get the board fully/flush into the starter board. We figured out the white substance is a type of wax to aid in assembly. If I assemble the flooring in the opposite way, inserting the long tab into the short tab, it went together much easier. Did I misread the instructions? Thanks. When I installed my floors I found there was excessive wax on my click system too. What I did was cut about a 6in piece of flooring and use it to loosen the click system and remove some of the wax. All you have to do is click the piece onto a plank up and down the small tongue side, try sliding the piece a bit and a lot of the wax will break free. Now the plank is ready to install. I started doing this indoors right before installation and I’ll say when the wax gets on the surface of the new floor, it’s a pain to clean off so you’re better off dewaxing the planks outdoors by the chop saw before you bring the plank inside. I’ve been meaning to make a little video showing this technique, it’s a common concern. Best of luck on the install and send us photos! I have about 15 bamboo boards that got damaged and need replacing. I have wide click lock style from Cali and the section needing replacement is at the start of the original installation. My question is can the bad boards be pulled up from behind or do I need to take up the entire floor to get the new ones in? It depends where in the floor the planks lie. Sometimes you can get away with lifting up a few rows, sometimes not so much. Take some photos and we might be able to give some better advice, I’m forwarding this over to our customer service department, they can get the replacement planks sent over. Thanks for the reply. They already sent me the replacement planks. The planks needing replacement are at the befinnig of the installation starting from an exterior wall in toward the entry. If I can get the bad planks out I will need to install new ones in reverse of the way the floor is laid. Can that be done by lifting the back edge of the remaining planks and tucking the new planks under. It may require too much force to get the in and I will have to remove the entire floor just to replace a few rows of planks. Customer service already has photos of the floor. I had padding and a carpet in my office where I am installing the Cali Bamboo Hardwood flooring and my dog has urinated a couple of times where it ruined the carpet and smelled quite bad. Do you have a recommendation in treating the sub-floor for the smell prior to installing the flooring? I would hate to have to remove the sub-floor. I was thinking maybe a Kilz paint prior to the installation. Any help is greatly appreciated. Interesting question. Before you do anything, confirm it is completely dry. Once it has completely dried, any smell will naturally fade over time. I think a coat of Killz is a good idea, I know all the paint manufacturers are coming out with anti-bacterial, anti-fungal paints these days, they could help as well. Can you install Cali bamboo floating floor parallel to the floor joist? We are installing bamboo flooring in a new build above a heated basement. It is going over a plywood subfloor but do I also need an underlayment also and if so, what kind? There is onyx radiant tubing under the plywood subfloor. Over plywood you typically nail down or float. If you nail down you wouldn’t use an underlayment but you can when you float the floor. Underlayments are not required but they do add a bit of comfort and sound insulation to the floor. I’m just doing a closet with two boxes of bamboo wood. Not enough room on one dimension to cross stack in that room. Assume Olin another too of house with similar temperature? Not really understanding the question but it sounds like you are concerned about acclimating flooring in a closet? It doesn’t need to acclimate in the closet if it is too much trouble, just get it as close to the closet as possible and you’ll be just fine. What is the acclimation period for Cork flooring and the Eucalyptus flooring? Is it the same as the Bamboo? How does one acquire a moisture meter to check to flooring and sub floor? Also I have read that bamboo requires special calibration of a moisture meter to correctly read its moisture content, is this true? 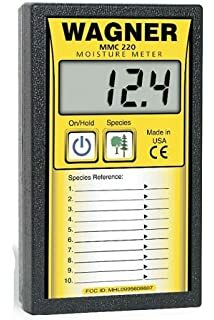 Moisture meters can be purchased at most home improvement stores, but they typically carry low-cost models that often give inconsistent readings. We recommend Wagner meters but they can get expensive. Some home improvement stores may rent the good moisture meters also most local tool rental shops will rent quality moisture meters. For the Wagner, since they don’t yet have a bamboo setting in their species menu yet (we’re in discussions with them), they recommend using the Douglas Fir setting and this conversion chart to get an accurate bamboo reading.